Any sort of unresolved ankle pain can be something that will hold you back from doing a lot of the activities that you love. The truth of the matter is that chronic pain in your ankle can end up taking place at any age. When it starts to hold you back, you need to work with the professionals so that you can get help with chronic lateral ankle pain treatment and surgery in Renton. If you are able to make an appointment to see the team at Mill Creek Foot and Ankle Clinic, you will have the ability to work on treating the exact cause of your discomfort instead of simply masking the symptoms. There are a lot of people just like you who are dealing with chronic pain such as this and you deserve to have relief. 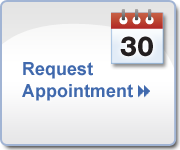 Once you make an appointment to come in and see our team at Mill Creek Foot and Ankle Clinic, you will have the ability to have a full examination. We will also go over your medical history to talk with you about any of the other injuries that you may have suffered in one or both of your ankles. Did you know that a major cause of such chronic lateral ankle pain can be a previous sprain or injury that did not have the chance to heal properly? There can be a bit of swelling or inflamed tissue in the area that will cause issues, especially when you try to stand for a long period of time, or try to take part in exercise. Have lateral ankle pain symptoms? Call Mill Creek Foot and Ankle Clinic at (425)482-6663 for chronic lateral ankle pain treatment and surgery in Renton.